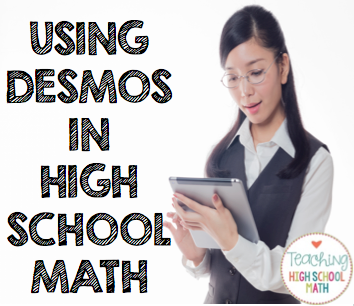 I love my Texas Instruments graphing calculator...I really do - BUT Desmos is the best thing that has hit my iPad...and it's FREEEEEEEE! 1) it is very intuitive. 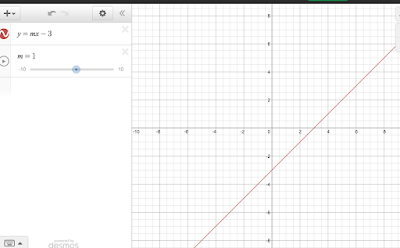 Students can type in an equation and Desmos graphs it. Done! 2) it graphs as you type. 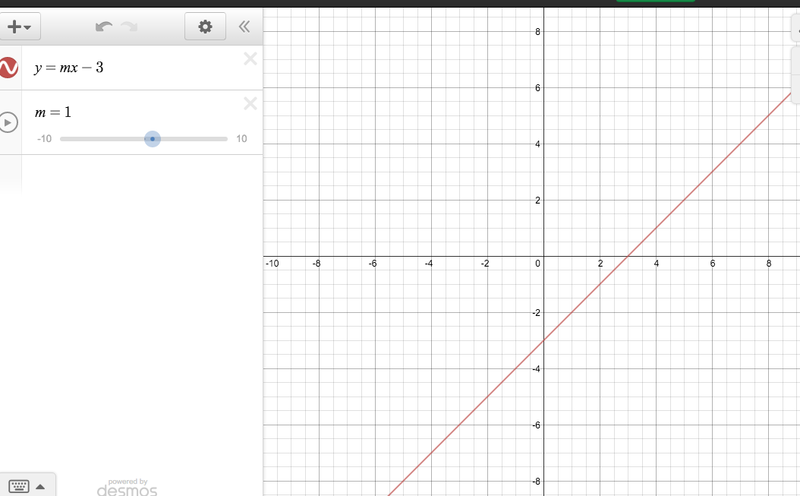 For example...if you type y = x + 2...it graphs y = x and then moves the graph up as you type +2. 3) You can add sliders. 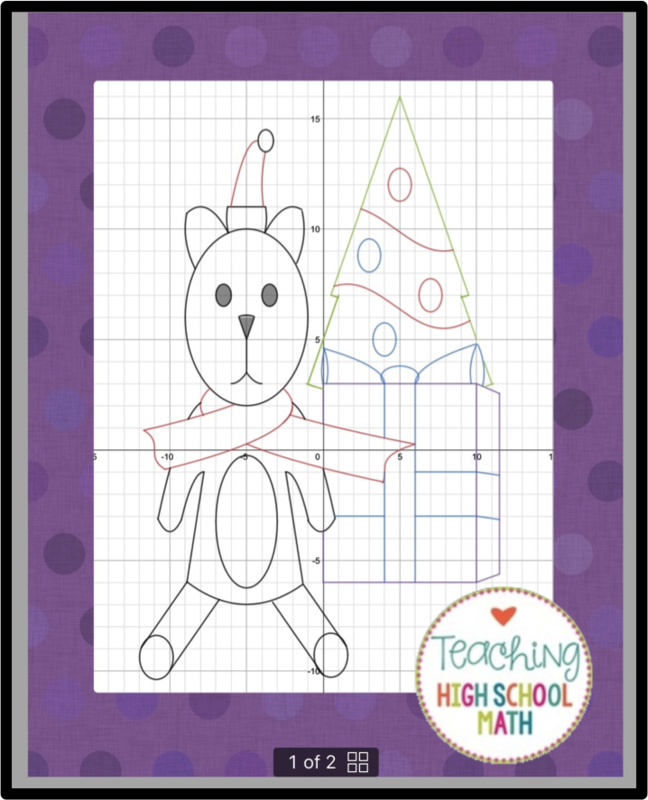 For example...do you want to show students what happens to the graph of the equation of a line y = mx + b when you change m? Type y = mx - 3 and add a slider for m. Slide the slider and students immediately see what happens when m changes. Lots of examples right before their eyes...awesome. Graphing calculators work for this too, but you have to type in each new example. 4) I like that there is an app and there is a web-based version. I have students that bring chrome books, but most have iPads. Both sets of students can work in this app. 5) There are many, many pre-made activities that you can find by googling. 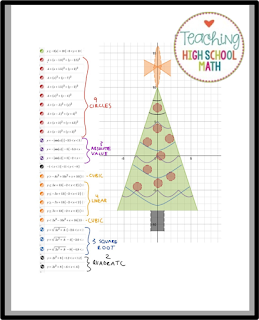 Last Christmas I had my Pre-Calculus class use all of the graphs we learned about during first semester and make Christmas themed drawings. They were awesome and really taught them about piecewise functions. I don't think many of them really understood them until they had to make lines and curves start and stop in certain places to complete their Christmas drawings. Here are a couple of examples that my class created - awesome! I needed an idea to review a whole bunch of different problems in a limited time frame...and I am tired of explaining all of them! 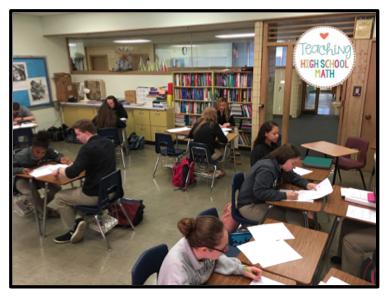 Enter...Speed Dating in Math Class! I gave a practice multiple choice test from a previously given AP Calculus test last Friday. I went through the first 10 questions and found students that got one of the first 10 right. I designated these students as the "question expert" for that question. I sat those students around the outside of the room. I then sat the other 18 students in groups of either 1 or 2 around a ring through the inside of the room. These students sat facing a "question expert." I set a timer on my computer and projected the countdown on the screen in the front of the room. The question expert was responsible for explaining that question to the one or two students sitting in front of them. Every two minutes, the timer went off and the students stood up and moved to the next question expert. The timer really helped me keep track of time. When it went off, the kids stood up and switched. I didn't get sidetracked by someone asking me a question or anything else. The "questions experts" looked proud of themselves! It wasn't necessarily the "smartest" kids that were the question experts. Everyone was moving and working - they only had two minutes! The kids loved that I called this speed dating. Each time I do this activity, the question experts need to change. A disadvantage to this activity is that the question experts do not get to learn anything new. They certainly help me by explaining what I would have had to explain a lot of times, but they didn't get their questions answered. 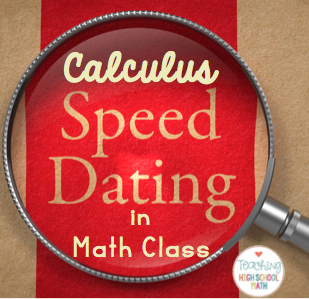 Have you ever tried speed dating in math class? What things worked for you? Want to see more Teaching Math Tips? 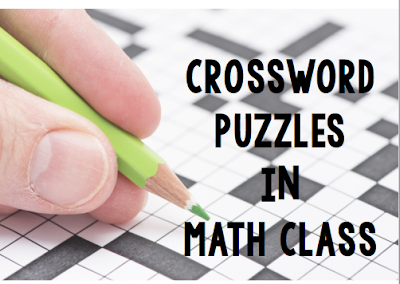 Do crossword puzzles help students learn vocabulary? 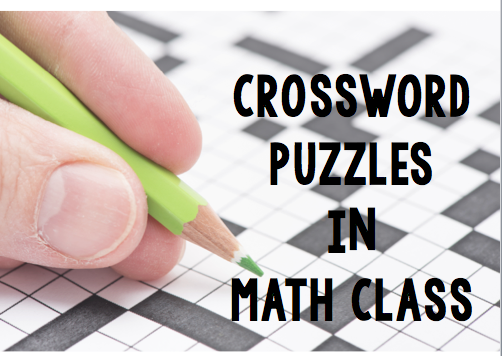 There have been studies done which have shown that crossword puzzles help students study and retain vocabulary. (For example, see Crossword Puzzles help with vocabulary - granted this is a study about learning vocabulary in a foreign language, but hey...sometimes math seems like a foreign language :) In addition, students love crossword puzzles...need something quick for students to try - use a crossword! I recently came across a really neat website that will allow you to make crossword puzzles for your students. Granted, you do have to pay for this website ($19.95 to get lifetime access to create as many puzzles as you want), but there are many reasons to like this site. 1) You can either design and make the puzzle yourself or you can let the program auto arrange your words and clues. 2) You can print the puzzles and the answers. 3) You can share the puzzle with your students online - and the puzzles are solvable online - awesome if you are a 1:1 school! I can't wait to let my students try this on their iPads after Spring Break! 4) You can start the puzzle on one computer and finish on another. 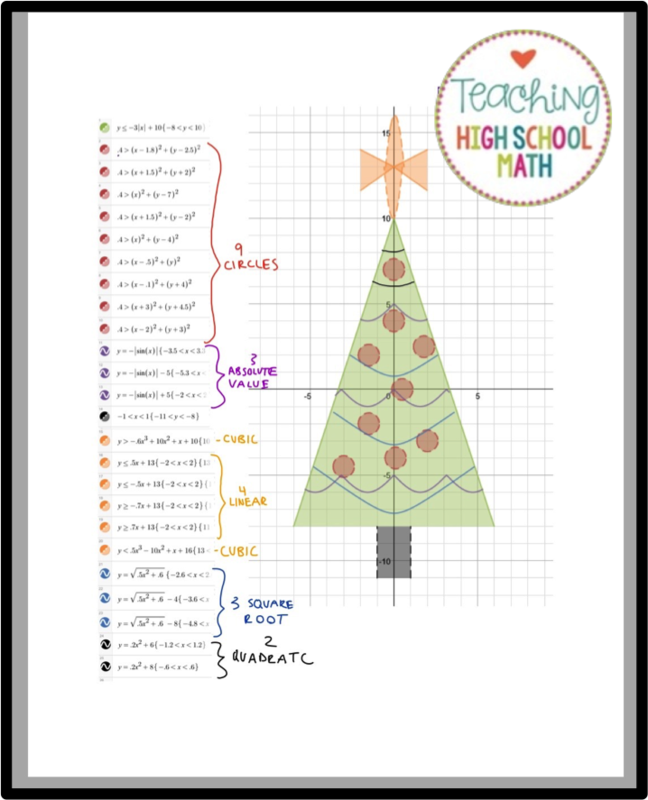 Save it as a pdf... Print it from home or school! 5) Also, you can embed your puzzle on your website. Try my triangle vocabulary puzzle below.